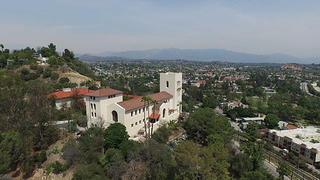 As the next significant and exciting step in our work to preserve the historic Southwest Museum Site, the National Trust team and our broad-based Steering Committee of experts have developed a detailed Request for Interest (RFI) with the property owner, the Autry Museum of the American West, to solicit innovative and thoughtful concepts that reactivate the Los Angeles landmark and icon of the Highland Park neighborhood as a community asset. Collection – Include opportunities for public programming that draws on the Autry’s historic Southwest Museum of the American Indian Collection. Tours of the Southwest Museum campus , the Casa de Adobe and the Resources Center of the Autry will be offered in the next few months to allow all interested parties to see the sites and the collection first-hand. We encourage a wide variety of ideas and welcome responses from major institutions to real estate brokers to local non-profits to community stakeholders. We hope you’ll submit your concept and encourage others to do so as well! Questions about the RFI can be sent to the Autry and National Trust team at SouthwestRFI@theAutry.org. The deadline for responses to the RFI is June 10. 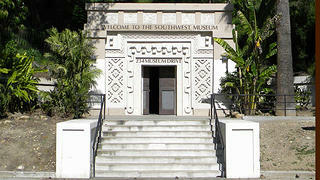 Historic Southwest Museum Mt. Washington Campus. 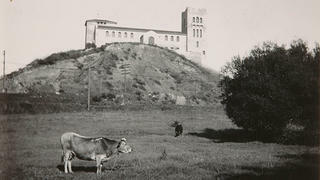 A cow in a pasture below the Southwest Museum, January 28, 1916, gelatin silver print. 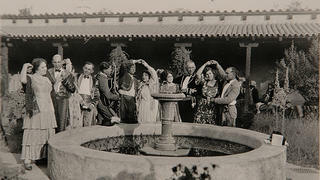 Attendees of the First Annual Fiesta at the Casa de Adobe, Los Angeles, California, June 6, 1927.